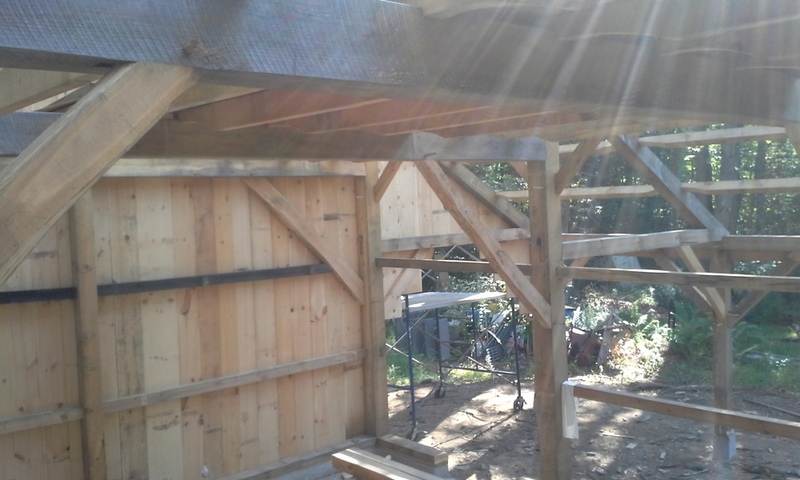 In 2015 I built a 32' x 36' new timber frame for a client in in Acton, ME. I pre-cut the frame at my shop then brought it to the job site and assembled it with the client and his helpful friends. It was an inspiring project and the raising day was one of the best days of work I've had. There was superior teamwork and cooperation and it all went as smoothly as it could. 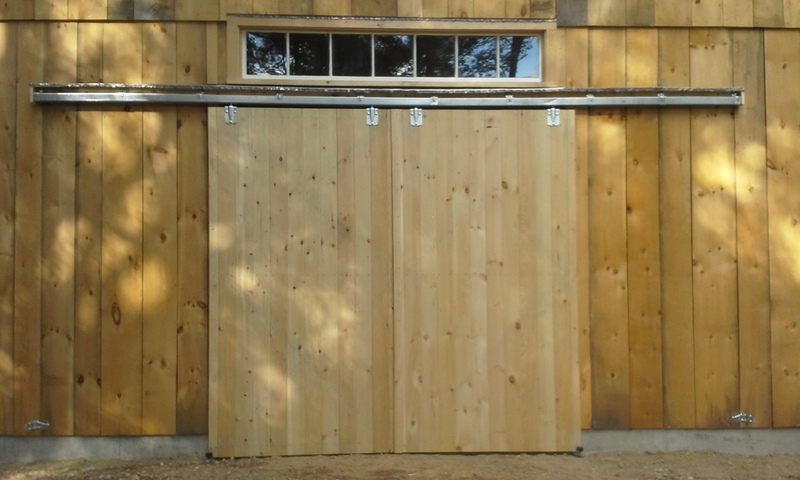 The barn features mortise and tenon joinery and traditional sizing and construction. All products were sourced from local mills and featured Maine grown trees.